MTV is reportedly discussing with George Romero the possibility of turning his classic Dawn of the Dead into a television series. As exciting as this news is, the leveling reality is that there are no real facts to support it. Rumours are flying and include: there will be both fast and slow zombies. Zach Snyder will not be involved. The entire series will take place in a mall. Even with the news as vague as it is, I'm still excited. Though, I'm more excited about The Walking Dead series. More news as I come across it. I heard MTV was going to launch "Flavor of Flesh" where 12 urban zombie hoes compete to consume the brain of some washed up 80's rap hype man. 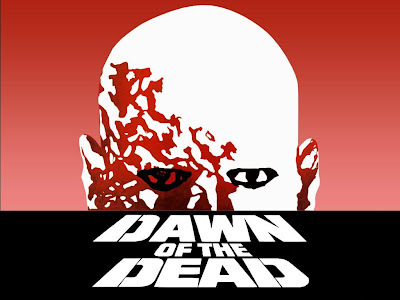 Although I like Dawn of the Dead, it doesn't seem like it'd be adaptable to television. It'd be the same location week after week. The show would have to be significantly different from the movie. I'd check it out though (of course).